Oh that's fab Sylvie! Love the colours. Gorgeous card Sylvie, I like the balloons and the background. 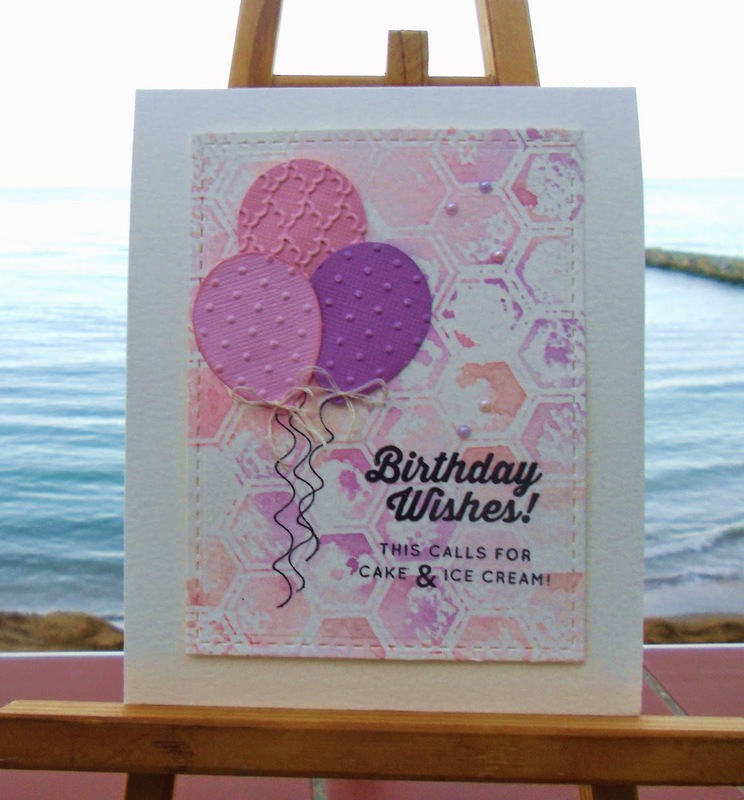 This is gorgeous Sylvie, I love the embossed balloons and fabulous background design. This is gorgeous Sylvie. Love the design and fab background. Gorgeous background - have to try this - have a great weekend, Sylvie! This is so pretty in pinks and lilacs Sylvie, amazing how you can change the mood with different colours.